If you’ve made the decision to apply for a VA-backed home loan, it can be a bit overwhelming. As with most mortgages, there are certain requirements necessary during the application process, and many of these involve the completion of paperwork and standardized forms. One of the most daunting aspects of applying for any home loan, and in particular a home loan guaranteed by the VA is just understanding where to start. There is some debate as to whether veterans should first speak to a Realtor® when they begin the process, or if they should immediately go to a lender, before ever starting to look at properties. Most experts agree, it’s most beneficial to start the process by first contacting a lender. Perhaps the most important document required for the initial VA loan application process is the Certificate of Eligibility, which is DD Form 214. This is required for both veterans, and current or former National Guard and Reserve members with activated Federal service. This form shows the character of service, as well as the reason for separation. Essentially, this is a formal DOD document that lets the lender know exactly whether or not a VA loan entitlement can be issued to a veteran. 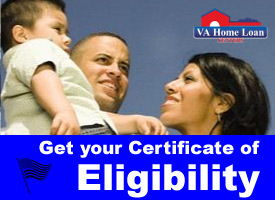 One of the primary benefits of working with a lender from the beginning, is that they can obtain the Certificate of Eligibility on behalf of the veteran, and they can also prequalify and provide loan approval to the veteran before the eligibility is confirmed, which cuts down on a significant portion of the waiting time required during the VA loan application process. A loan preapproval is non-binding and doesn’t mean that a veteran is obligated to that mortgage. 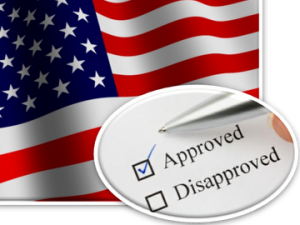 In order to jump start the preapproval process, veterans can significantly reduce their waiting time if they gather all necessary information the lender will need ahead of time, including personal, financial and employment information. If you are a surviving spouse of a veteran who will be using a VA loan to purchase a home, you will need to obtain the veteran’s DD 214, as well as the VA form 26-1817, which is Request for Determination of Loan Guaranty Eligibility—Unmarried Surviving Spouses. The good news is that VA Home Loan Centers can obtain these documents for you. To get started call 888-573-4496. It’s not until after this point that an eligible veteran will begin the actual process of applying for their VA loan, and during the period of loan processing, a lender will order a VA appraisal be completed. During this time, all credit and income verification information is also processed. Typically, paperwork required by a lender will be used as a way to help determine the applicant’s income-to-debt ratio, and to establish how much of a mortgage payment the individual will be able to afford. If you are interested in applying for a VA loan, use the application form below or call 888-573-4496.